TheLincoln Electric K2799-1 auto-darkening helmetfeatures a variable shade 9-13 solar powered auto-darkening lens. Turn dial on the side of helmet to adjust the lens from shades 9-13. 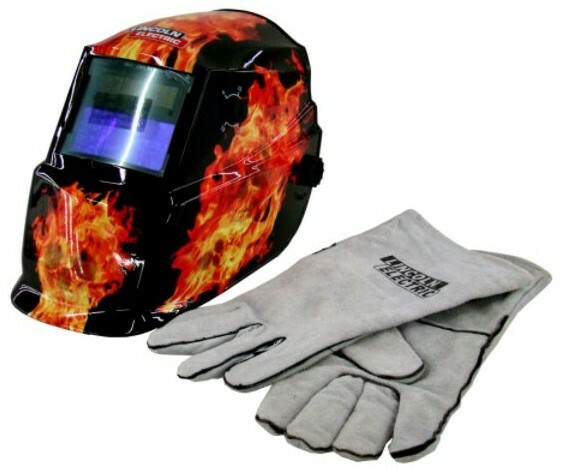 Helmet comes with a pair of welding gloves too!